This grilled cheese recipe comes from The Ultimate Uncheese Cookbook by Jo Stepaniak (click here for the recipe). 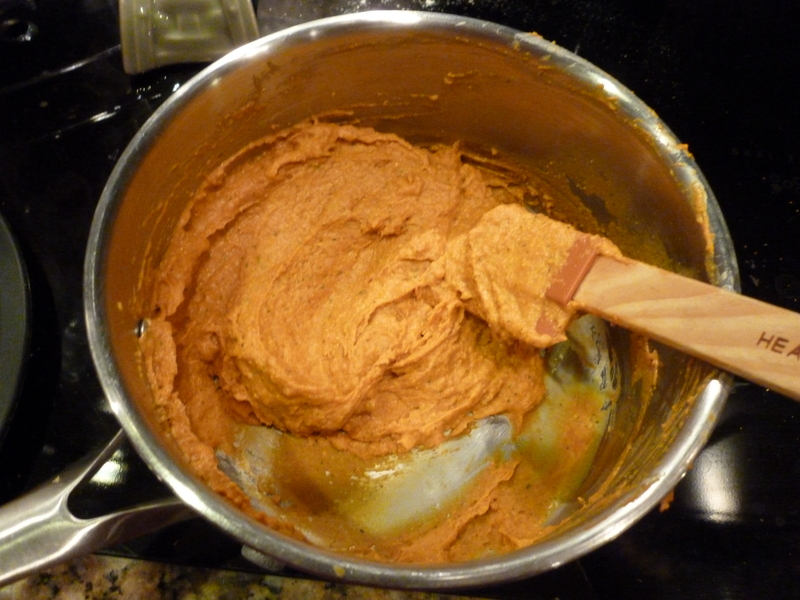 I thought this had a better texture than the Happy Herbivore grilled cheese, but it really tasted more like a roasted red pepper spread than anything else (it could be that I roasted my own peppers instead of buying the jarred kind). It was tasty, a nice tangy flavor, but not my first choice for grilled cheese. 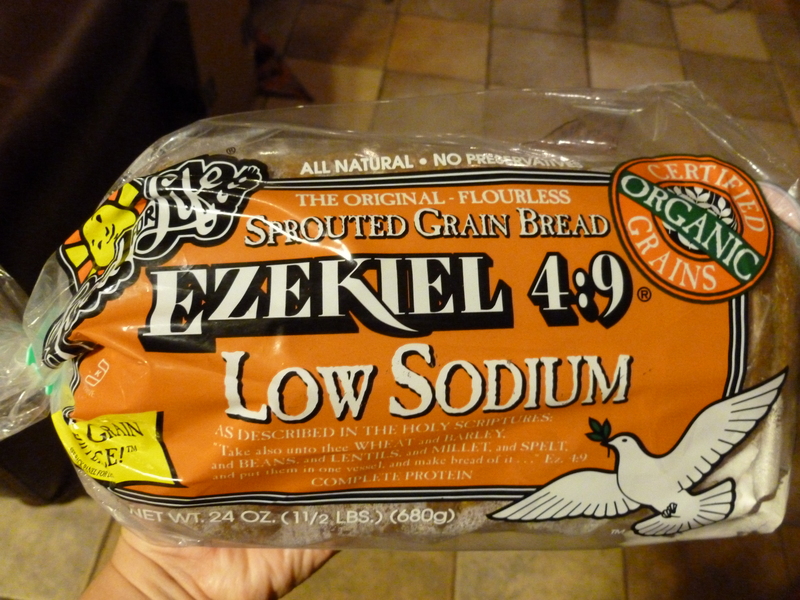 The bread: Ezekiel 4:9 Low Sodium. I realized my favorite whole wheat tuscan pane from Trader Joe’s had way too much sodium, so this ezekiel bread is my new “go to”… can be purchased at Sprouts for $4.99. 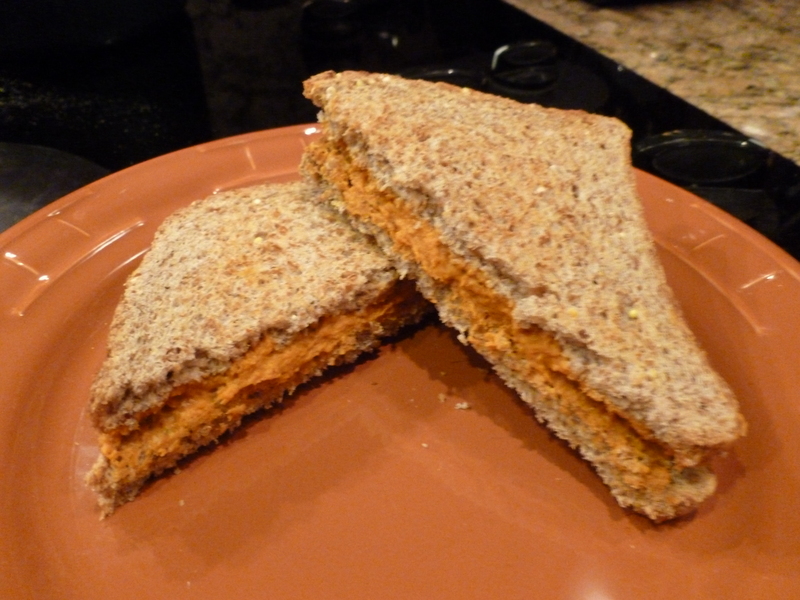 It’s pretty good… I thought it would be too dense, but it’s just right, makes great toast!